This article is a review of NIM'S ISLAND. Making a splash ever since SIGNS, and cementing her acting cred with LITTLE MISS SUNSHINE, it seems only fitting that gifted child actor Abigail Breslin should be teamed up with a child star of the 70s, turned one of the greats, Jodie Foster. Perhaps due to having children of her own Foster has eschewed her usual dark fare (PANIC ROOM, THE BRAVE ONE, INSIDE MAN) to make a family film. Like Meryl Streep, anything with her name attached is basically a seal of quality stamped into a project. 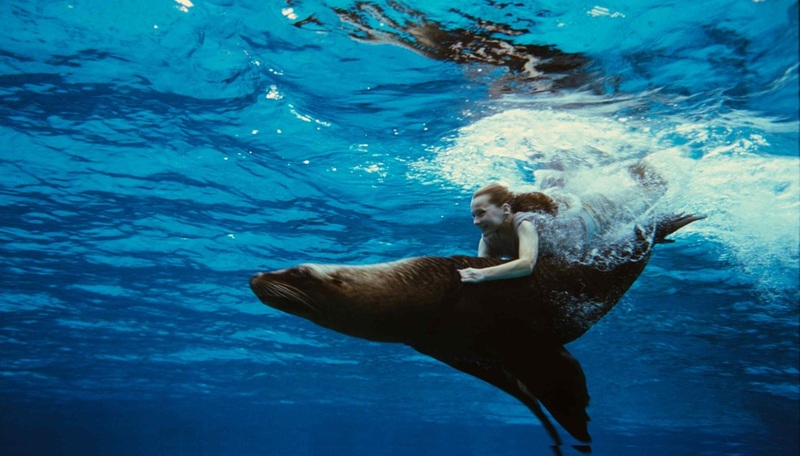 On a dormant volcanic island paradise somewhere in the Pacific Ocean lives Nim (Breslin), her marine biologist father (Gerard Butler) and Nim’s intelligent wildlife pals (a sea lion, pelican, turtle and lizard). Nim appears content, though with an air of incompleteness. With their home run by solar power and a satellite allowing the internet, her only expressed desire from the outside world is the latest Alex Rover book. These best-selling works are believed by the world to be fact, the author also being a modern adventurer recounting his exploits. In fact “Alex” is short for Alexandra, and is a neurotic, agoraphobic Jodie Foster. Unusually (and interestingly) both Nim and Alexandra imagine Alex as Gerard Butler. Nim thinks he is real. Alexandra talks to him as if he is; like a His Dark Materials daemon he represents the braver and daring parts of her personality. A crisis for father and daughter draw the reclusive writer into their sphere. This film could have been on twee overload if it wasn’t for the three leads firing their charisma and charm cylinders on full, as well as the well crafted production design and inventive editing. Foster plays it broad but heartfelt, Breslin is earnest and stoical, and Butler is shaping up to be a Harrison Ford-style hero with vulnerability. Scenes merging into each other have an Ang Lee’s HULK intricacy with a BLUE PETER sensibility. An overly sentimental, conventional ending takes some of the sheen off, along with an undernourished subplot involving unwelcome visitors; however young audiences should lap this up.